I was hoping to be releasing my Cabbage Patch Angel doll clothes pattern today but I’m having some technical difficulties and while we are working to overcome this I thought you may like to see what a couple of my customers have done with my Halloween doll clothes patterns. Karen has been very clever and with a few little changes has transformed my Witch doll clothes pattern into a Wizard costume. I think she has done an awesome job…the hat is terrific! Karen tells me she is working on the wand at the moment but it will be ready for Halloween. I love the way the stars and moons look different colors from different angels. These are soooooo cool! 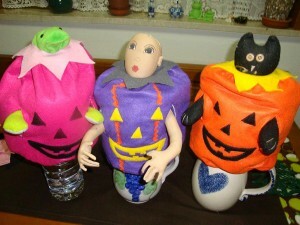 Sharon has made my Pumpkin doll clothes pattern in different colors and the result is fantastic! Sharon sews for her granddaughters who live in a different country so doesn’t have a doll to model them on but had a little fun finding alternative models…..this certainly puts the spooky into Halloween. 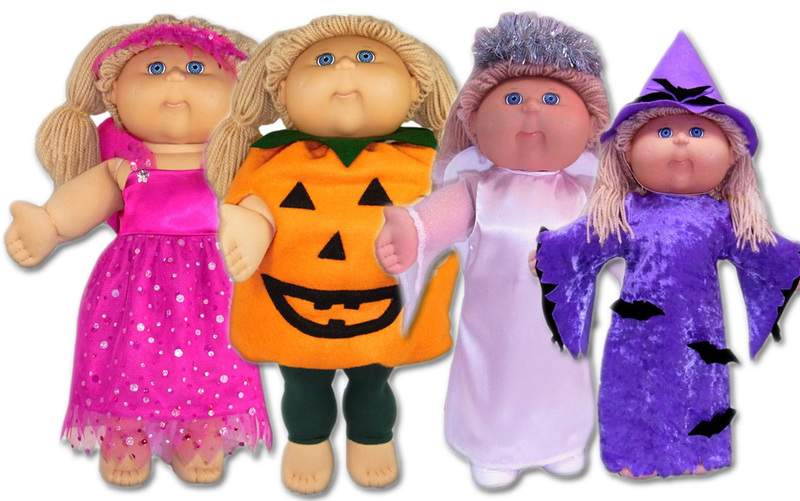 It is great to see you having some fun with my Halloween doll clothes patterns and I promise to release my Cabbage Patch Angel costume pattern soon. 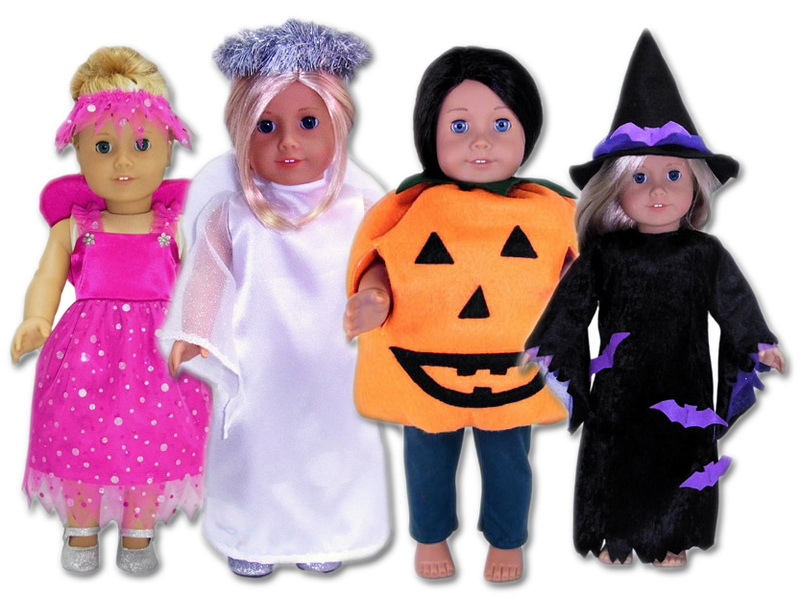 In the meantime, I have several other Halloween doll clothes patterns available in both the 18 inch American Girl doll size and 18 ½ inch Cabbage Patch doll size and would love to see photos of what you have created using them so keep sending your photos in. Love the wizard costume. Very sparkle..e. I may copy this idea in the future if it is OK.
Sharon, I’m sure Karen will be thrilled that you would like to copy her idea (imitation is the greatest form of flattery). That is why we all share what we have made…..to inspire others! Happy sewing.